Learn about profile images, optimal information, settings, and how to get verified. How to create images, listings, optimal information, privacy settings, audience demographics, and more. Learn about partner matching, types of notifications, optimal actions and more. Learn about securing deals, different forms of communication, sharing information and more. What brands are allowed on HOLLYFY? Almost all types of widely enjoyed brands are allowed on HOLLYFY. Everything from automotive, beverages, restaurants, apparel, electronics, furniture, food, candy, retail stores, banks, grocery, e-commerce, apps, websites, toys, tools, hardware, equipment, and more. Brand Advertisers. Learn more here. What entertainment is allowed on HOLLYFY? Almost all types of widely enjoyed entertainment are allowed on HOLLYFY. Everything from movies, streaming TV shows, video games, music videos, song lyrics, Instagram, YouTube, Facebook, LinkedIn, Snapchat, blogs, and more. We do restrict some ratings of entertainment however. Entertainment Creators. Learn more here. How do I get started, as an advertiser? It’s easy. Simply follow the on-boarding questions. Be sure to select “Brand”. You’ll be asked to create a showcase page that represents your brand to the entertainment community on HOLLYFY. A few simple suggestions will go a long way. Add your brand name as title of the page. Add logo of your brand as header & thumbnail image. Download header template here. Download header template here. Add Official Links to your brand owned social media accounts and website. This helps verify your credibility. Add your Target Audience. This is the same as your target market: location where your brand is sold, how many people purchase your brand annually, demographics of your target market. Now, add listings of the types of entertainment you want to be matched with and how you’d like your brand used in that entertainment. Once complete, simply ‘Launch‘ your page. Once launched and active, your page will begin to attract matches based on your information. These matches will appear in your notifications “Bell icon”. Matches can also be found on your dashboard and in your ‘Opportunities’ section. Search. Make connections. ShortList your favorites. Negotiate deals. How do I get started, as an entertainment creator? It’s easy. Simply follow the on-boarding questions. Be sure to select “Entertainment”. You’ll be asked to create a showcase page that represents your entertainment production to the brand advertising community on HOLLYFY. A few simple suggestions will go a long way. Add the title of your production as title of the page. Add graphic title of your entertainment as header & thumbnail image. Add Official Links to your entertainment owned social media accounts and website. This helps verify your credibility. Add your projected Target Audience. Location where your entertainment is enjoyed, how many people enjoy your entertainment, demographics of your target audience. Now, add listings of the types of brands you want to be matched with and how you’d like those brand used in your entertainment. How do I create images for my showcase page? Header (horizontal) images represent your page to the world and show up in search results. Thumbnail (vertical) images represent your page also and show up in matches, connections, and many other widgets. Upload header image sizes no larger than 750kb. Upload thumbnail image sizes no larger than 400kb. Images tend to get more attention. Download one of the photoshop templates to get started in the right column. If you need more help, perhaps have one of our specialists design an image for you by going to the ‘Add-Ons’ section in your ‘Account Settings’. Advertisers: Download header template here. Download thumbnail template here. Entertainment: Download header template here. Download thumbnail template here. HOLLYFY is like Airbnb for the media industry. We match entertainment productions with brand advertisers. Our proprietary software helps creators and advertisers of all sizes leverage each other for exponential growth. Entertainment productions (music videos, lyrics, movies, video games, streaming TV, Instagrammers, YouTubers, bloggers, etc) want to monetize their productions. Brand advertisers (products, apparel, shops, services, locations, restaurants, electronics, vehicles, beverages, toys, etc) want to increase brand awareness with an attentive audience. Branded entertainment is quite simply entertainment productions using real world brands as part of their productions, storyline, scenes, set design, props, dialogue, song lyrics, and more. It is the evolution of content creation and advertising. Instead of the complex system where skippable commercials interrupt your favorite entertainment, brands simply live inside of the entertainment. Which means, as a viewer, you’ll have more realism in scenes and less need to take a commercial break. Advertisers win by getting featured in front of an attentive audience. Entertainment creators win by having ad budgets allocated more to the production (and less to middle-men). How do I determine the price of a listing? Listing price is often best determined by the context of the brand integration (eg/ prominence, screentime, how it’s used, how integral it is to the scene/story, etc) as well as, the size and demographics of the projected audience. Many deals start with a security deposit (about 10% of total). Then, disbursements are made after each review round (typically 10% of total per review round). Finally, the remainder is disbursed after the content is aired (published). Sometimes, bonus incentives are offered if the integration exceeds projections. Such as, projected audience size ended up being larger than anticipated…or, brand received more sales than anticipated…or, brand achieved more press coverage than anticipated. Structure a model that works for your partnership. Learn how to manage payments here. We help almost all types of musicians looking for ways to fund music videos, concerts, and careers by matching them with like minded brand advertisers who can help. 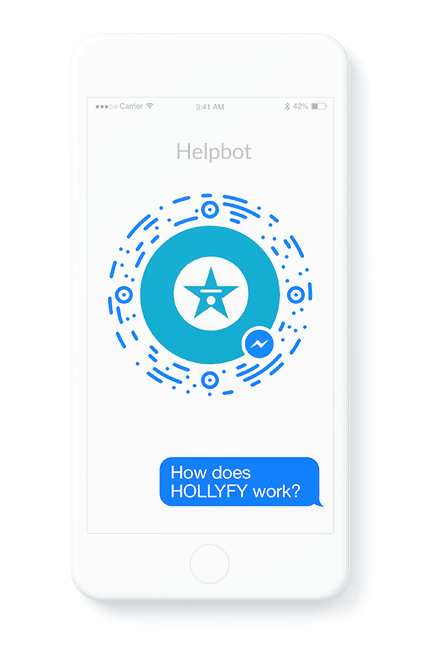 Almost any type of brand can use HOLLYFY to improve their brand awareness and relevancy. This list is merely the beginning. Business Owners. Learn more here. Marketing Department. Learn more here. Advertising Agencies. Learn more here. Media Department. Learn more here. 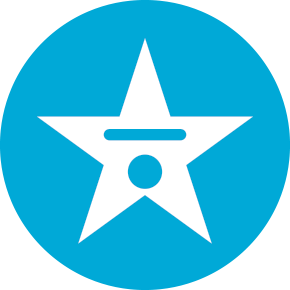 Almost every type of service or location that is branded can use HOLLYFY to improve their brand awareness and relevancy. This list is merely the beginning.